Despite best efforts to plan our rotas to expire at a time when life is quieter, the reality is that there's rarely a quiet time! 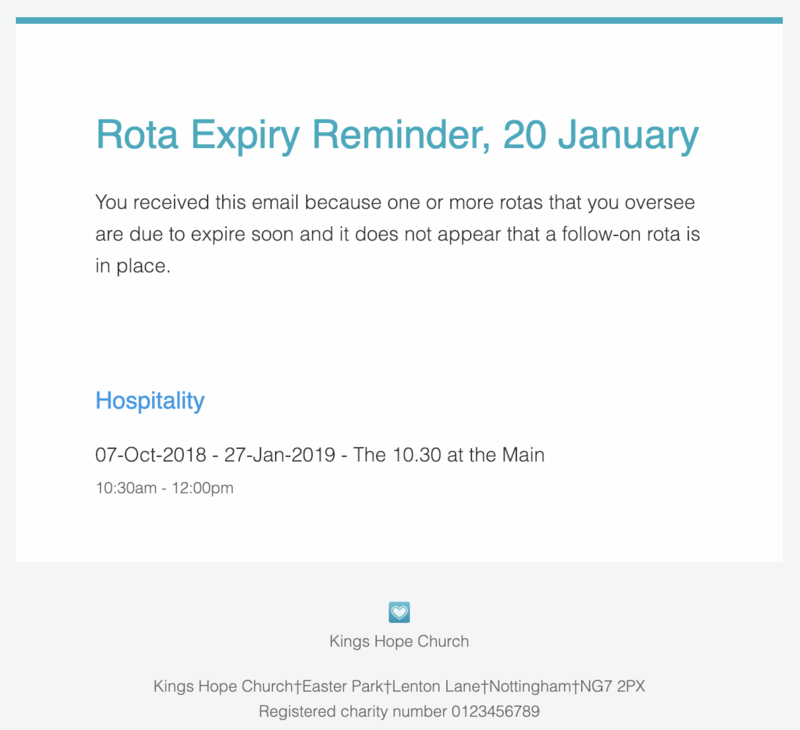 To help, ChurchSuite sends an automatic rota expiry reminder notification to ministry overseers. To do this we find published rotas that are expiring either 1, 2 or 4 weeks from the current date. We then look for rotas from the same ministry and site, matching the same serving times and the same service. If we find any rotas matching those criteria, we take them to be the follow-on rotas and don't send a reminder. If no follow-on rota is matched, a reminder is sent.